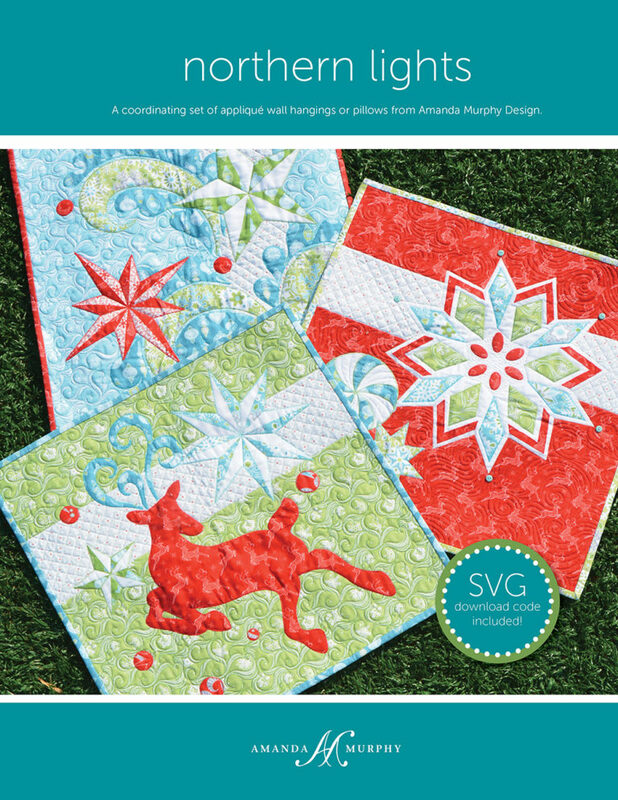 We recently shared Amanda Murphy's Folk Art Fantasy collection. 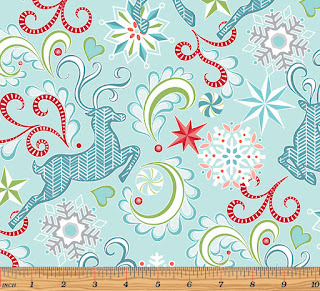 Today she's back with Nordic Holiday, a Scandinavian-inspired fabric collection. Join us as we talk to Amanda about Nordic Holiday. What inspired your Nordic Holiday collection? That animal print was the inspiration. Nordic Holiday is more winter themed than Christmas. 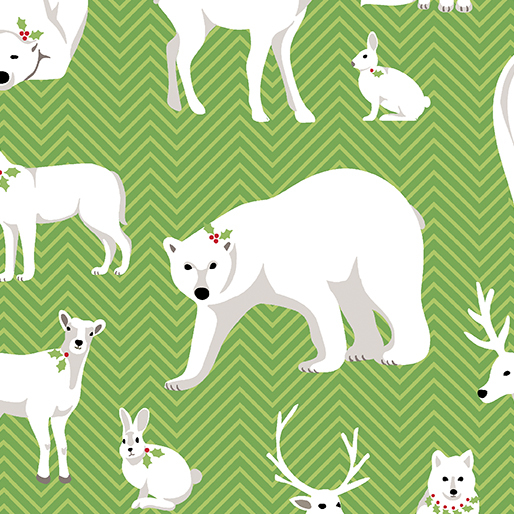 I chose all Nordic animals, starting with ones that turned white in the winter to camouflage. It’s really a clean, Scandinavian design. I wasn’t sure about it as a feature print because it didn’t have a lot of color. 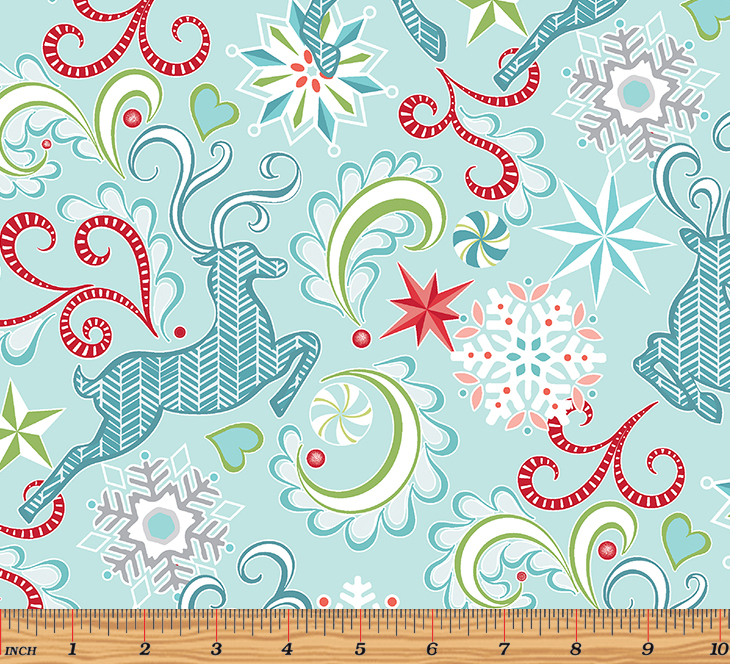 Then I developed the other main reindeer print (with scrolls, stars and snowflakes) to work with the animals. 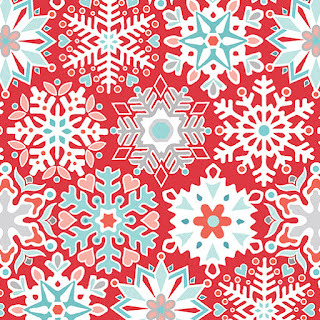 I love the red snowflake print. It works well for winter without being specifically Christmas. It can function as a blender but also can be fussy cut in so many ways. We noticed some similarities between this collection and Folk Art Fantasy. 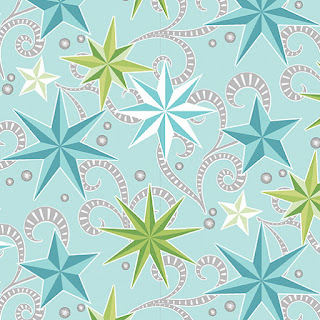 The star print is very similar to Folk Art Fantasy. 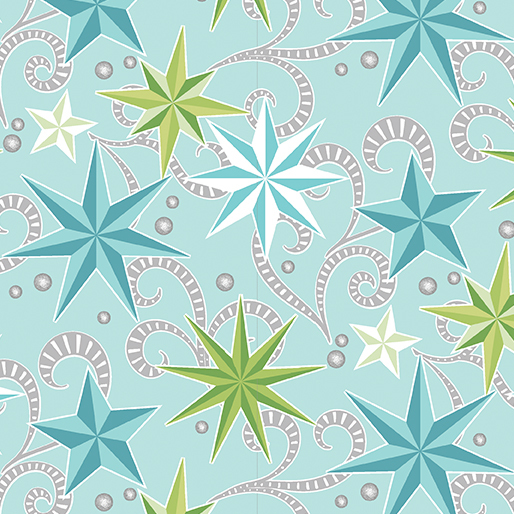 You think about Northern Stars and folk art, and there’s a connection there. Sometimes things evolve and work in different collections. The colors are similar too, so the fabrics can work together. It includes my favorite blues and greens that I always use. And red, of course. But I wanted a collection that could stand on its own without red, so it would be less Christmas-y. 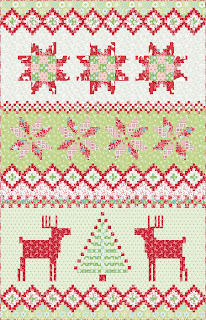 You have several new patterns designed for Nordic Holiday. Can you tell us about them? 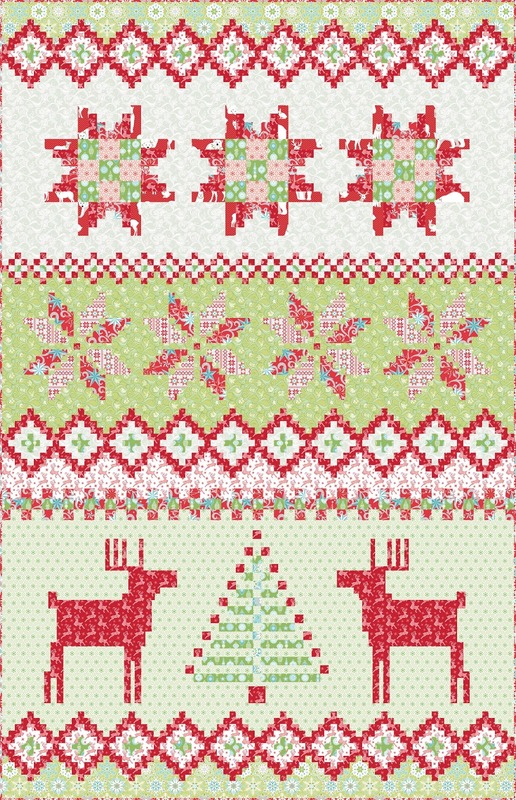 Absolutely The Nordic Row Sampler is the “ugly sweater” concept. It was the inspirational quilt for that collection. It is beginner quilt—all rectangles—but there’s a lot of piecing! The stripe print in the line was inspired by this quilt. Starry Night is based on 12” squares rearranged. It includes a little bit of applique and a lot of other things as well. 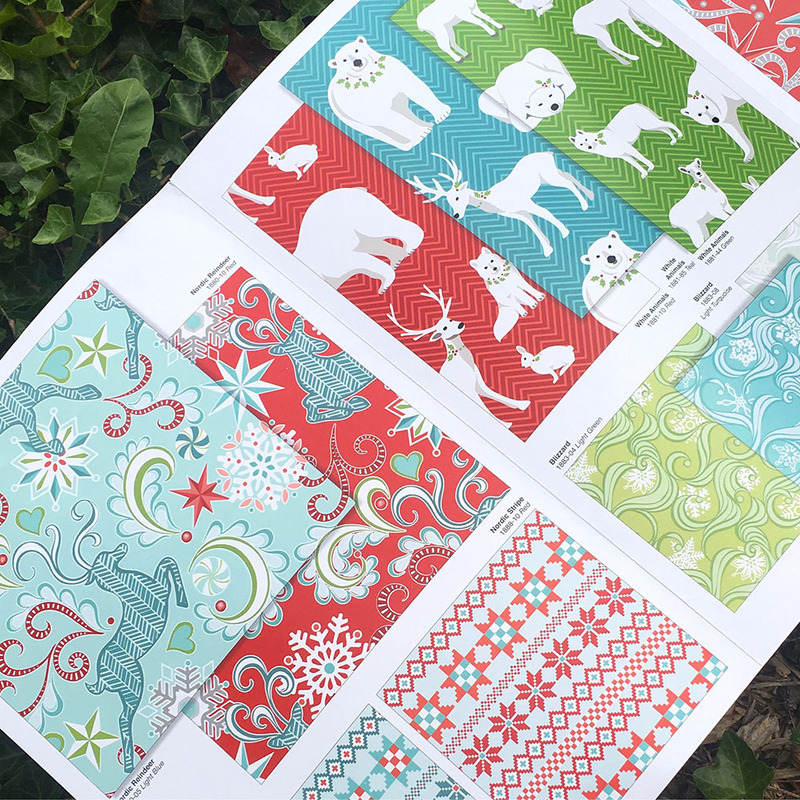 I did a different quilting motif in each block. 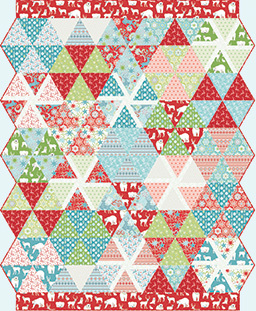 This pattern allows prints to shine on their own since they’re larger scale blocks. 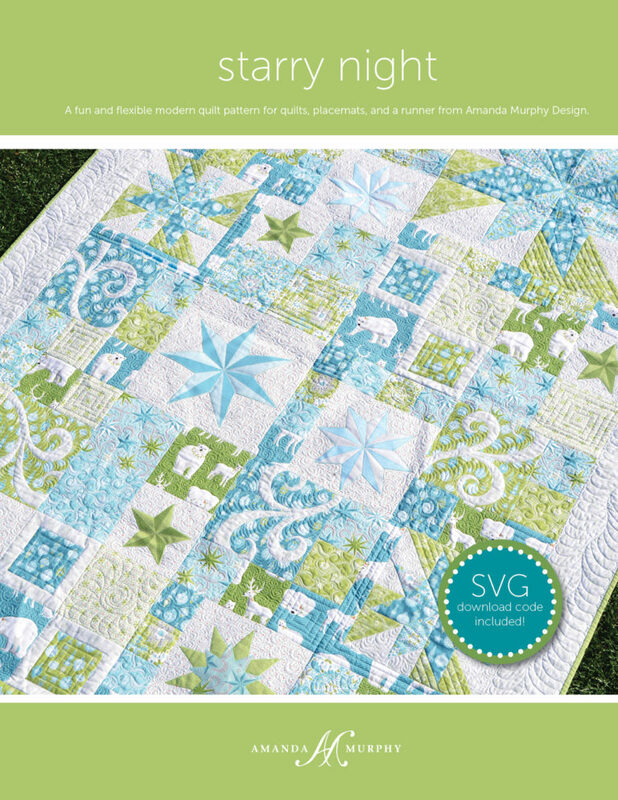 Northern Lights is a trio of freeform applique patterns; the designs could also be pillows. 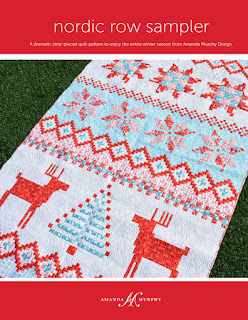 Amanda also designed a free quilt pattern using Nordic Holiday, Candy Dish. 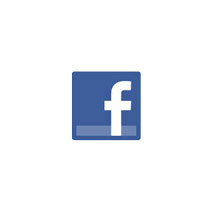 Click here to find out how to download it. Click here to see the entire Nordic Holiday collection. Click here to visit Amanda's website, where you can find her patterns, more inspiration, machine quilting tutorials, and SVG file downloads. 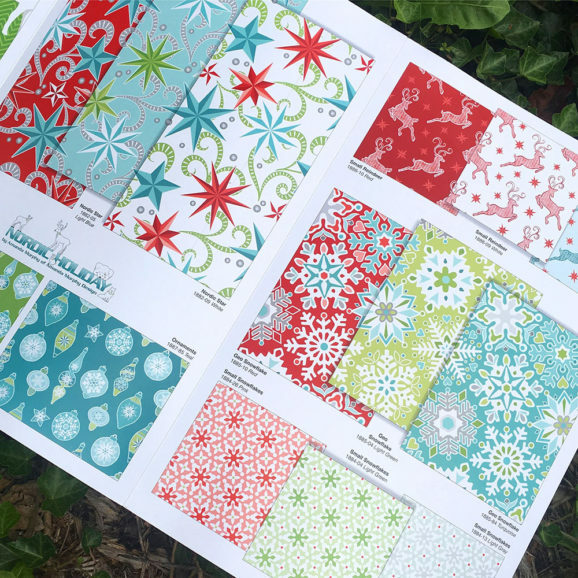 Love,love these colorful and sweet fabric line!